With civilized countries looking to depart from traditional methods of healthcare, and some forcibly implementing a socialist alternative, a quick look at how things are going in socialist Venezuela might give a taste of things to come. One might be puzzled as to why so many doctors would flee the socialist paradise if life was really so good. After all, aren’t politicians and clergy alike abuzz with concerns for social justice and taking care of the poor just like the socialists claim? Venezuelan doctors earnings are established by the state and range between $2,209 and $3,446 monthly. Without considering uncompensated overtime, these rates range between $12.84 and $20.03 per hour.2 This is hardly a just compensation for a medical professional, but to make matters worse, Venezuelan doctors have to compete with Cuban doctors arriving by the thousands who earn pennies—literally. In 2003, the late Venezuelan president Hugo Chavez brokered a deal with communist Cuba exchanging doctors’ services for 10,000 barrels of oil per day. Doctors in Cuba were sent to Venezuela to work for $67 per month (up from $26), or 39 cents per hour, and embraced a workload that was five times of what would be expected of them in Cuba. With this shady deal in place, the Castros hope to profit $8.2 billion during 2014 alone in slave labor trade from the tens of thousands of medical workers it sends to care for the poor in countries such as Venezuela and Brazil. It is absolutely incredible that there is no outrage from media, politicians and clergy about these poor exploited slave laborers. It is hypocritical that authorities claiming to have concern for poor exploited workers turn a blind eye to this travesty of justice. In simple terms, doctors are exchanged from the prison island of Cuba to the socialist paradise of Venezuela as slave labor to prop up the failed communist project of the Castro dictatorship. Essentially, doctors work and the Castros reap the profit, not the Cuban people. 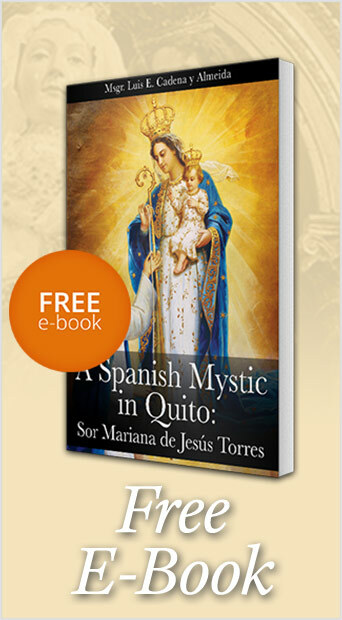 Socialism and Communism deny the effects of Original Sin in that man tends to be lazy. Therefore by removing all proprietary incentive from the workforce, they effectively destroy the economy of any country they infected and in turn substantially increase the poor and indigent that they claim to help. With this in mind, it is difficult to see why doctors, or anyone for that matter, would not want to flee the suffocating conditions under which one must operate while oppressed by a socialist or communist regime. The latest trend of fleeing medical professionals is but one more failed industry caused by Venezuela’s socialist project. 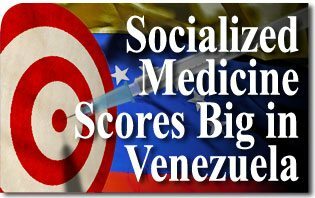 In fact, socialized medicine has scored big in Venezuela, a big zero! It has failed again in one of its unattainable utopic promises; government subsidized healthcare. This entry was posted in News Commentary and tagged Communism, government subsidized healthcare, socialism, socialized medicine, Venezuela by Gary Isbell. Bookmark the permalink.